Rats, you may suffer the consequences of their damage from constant gnawing. Lofts may be used as nesting places, with kitchens as a food source. Rats are extremely intelligent, adapting to their surroundings. This makes them one of the most successful animals and makes controlling rats a difficult task. Mice, are extremely adaptable. They will change there behaviour to fit in with the environment they are in. They consume food meant for humans or pets, and can contaminate food-preparation surfaces with their faeces. 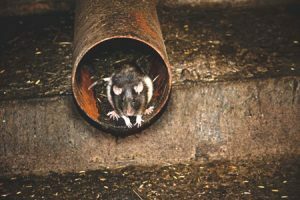 House mice live and thrive under a variety of conditions in and around homes and farms. Cockroaches prefer heat and a warm environment to be active in and the winter months offer central heating and optimal temperatures to thrive in. They are omnivorous feeders and will feed on any organic matter from food to hair. Flies, the most likely to be seen in February are cluster flies if they are coming from loft spaces. Once a nesting site has been chosen they go to hibernate at the same site year on year. other flies can be due to food waste or decaying matter. Established in 1985 PESTUK offers pest control services to both domestic and commercial premises, as one-off treatments and as annual contracts. Our company is fully insured and uses the most up-to-date biodegradable insecticides and poisons. All our technicians are BPCA/ADAS certified. All PEST UK technicians are CRB checked & members of the PROMPT/BASIS (ad link) scheme that ensures on going training & other professional aspects of pest control. PESTUK have offices in Balham, Oxford, Guildford, Enfield, Shepperton, Wantage, Salisbury, and St Albans. Call us on 0330 100 2811 to book an appointment regarding February pests or any other pest problem you may have.